EU prophecy continues to rumble on as we would expect. I am going to open a topic fraught with more controversy than I normally post. I believe this is necessary, as it is relevant to the events happening in the past few weeks. I’d ask that you hear me out, especially how it fits in to the grand eschatological picture with the EU. Nevertheless, I would welcome alternative viewpoints, as I am less sure of the point I am about to make than the EU prophecy paradigm in general. It is the contention of this website that we may enter Daniel’s 70th week with the EU’s 7 year budget framework (MFF 2021-2027), under the European Neighborhood Policy with Israel and/or European Defence Union. 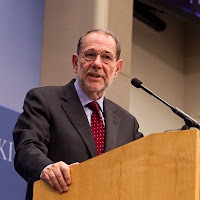 Furthermore, many prophecies have been fulfilled about a specific man, Javier Solana, making him the greatest Antichrist candidate in world history, as far as specific prophecies are concerned. His increasing influence in the realm of EU defence, and his stance on certain issues make ready the future fulfillment of prophecy, in a dramatic and unexpected way. 12 The ten horns which you saw are ten kings who have not yet received a kingdom, but they receive authority as kings with the beast for one hour. 13 These have one purpose, and they give their power and authority to the beast. Here, we learn that the ten kings give their power and authority to the beast. On this blog post here, I go into detail about how part of this prophecy may have been fulfilled. With Recommendation 666 (2001), the 10-nation Western European Union transferred their authority to the EU, under the leadership of Javier Solana. Nevertheless, the passage above seems to contain repetition. In verse 13 it says of the ten kings "These have one purpose, and they give their power and authority to the beast." It goes on to describe how the Lamb will defeat the ten kings, and that the Antichrist and ten kings hate a particular end time city. Then it seems to repeat itself with the same idea with something similar, stating "For God has put it in their hearts to execute His purpose by having a common purpose, and by giving their kingdom to the beast, until the words of God will be fulfilled." The Greek for "one purpose" (verse 13), and "common purpose" (verse 17) are the same. The ESV translation, which is also very literal, renders them both as "one mind." However, I believe a strong case can be made that verse 12-13 are historical from the standpoint of 2001. 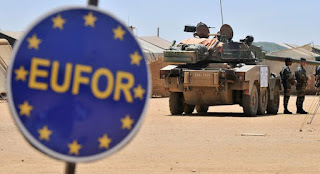 Nevertheless, the ten countries that used to make up the now defunct 10-nation Western European Union (which dissolved into the EU in 2010), have yet to fully transfer their sovereignty to the EU, especially in the area of defense. The common purpose that the ten kings have, seems to be in the military domain, as this "common purpose" seems to be in the context of the destruction of a major city and former political ally, Babylon (verses 16-18). Hence, it is not a surprise that the EU has several "common policies" (a "common purpose" as it were) from everything ranging from agriculture to defense. In defense, it is called the "common security and defence policy." It is also unsurprising, per Revelation 16-18, that the 10-nation WEU would dissolve and completely transfer it's functions to the EU in 2010, citing the EU's "Common Security and Defence Policy." The ten kings surrender their authority to the EU under Solana's leadership in 2001, and all residual functions in 2010, citing the EU's new "Common Security and Defence Policy." But what drives the ten kings to finally surrender their power? Revelation seems to tell us, that what causes the ten to finally surrender their sovereignty is hate. Namely, hatred of an economic and religious superpower, code-named "Babylon" causes the ten kings to hand over their power at last. This is precisely what God intends they would do, so that Babylon is ultimately judged. Revelation 17:12-13 is historical as of 2001, as I've argued here. But despite the similar wording, it is a bit ambitious to say that Revelation 17:17 is historical as of 2001 or 2010. Defence is one of the last areas where the EU remains "intergovernmental" and the member countries cling to sovereignty. Today's EU does not align with Revelation 17:17, where the ten kings give their "kingdom" to the beast. If Solana is the Antichrist and the ENP/MFF 2021-2027 is the 70th week, then Babylon is not some city that will be built in the distant future. In addition, the EU is in the middle of a very major defense integration push, much of which Javier Solana is driving. If the overview page of this website is accurate, then Babylon would have to be in existence today, likely driving Solana and the EU's latest integration push. But if hate drives the Antichrist and the ten kings to unite, then is there anyone Solana hates in particular? Furthermore, are EU nations, (specifically, former WEU nations) uniting because they hate some particular city? Here I open a controversial issue in prophecy. Who is end times Babylon? I would like to reiterate that it is easier to "prove" the EU is the end times Roman Empire, than to "prove" who Babylon is. This shouldn't come as a surprise, since the Bible specifically calls Babylon "a mystery." Nevertheless, since the EU interacts with "Babylon" in the end times, the issue must surface sooner or later. Babylon is depicted as a prostitute who rides the beast, who commits sexual immorality with the kings of the earth. As a result, I believe commentators are accurate in stating that the woman represents the Church in its apostate form. An entity is only in spiritual adultery unless it has previously served God, and Christ's true bride is depicted as a woman as well. We also know that there will be a very large apostasy event in the end times, resulting in the deaths of believers. This is consistent with the picture of the woman being drunk with the martyrs of Jesus. So it makes sense that the woman represents the apostate Church, especially in the end times, and false religion generally. However, Revelation 17 specifically states that the woman is a city. Revelation 18 describes the defeat of this city which is described at length as an economic superpower. Furthermore, it is probably a coastal city, since everyone who makes their living on the sea laments her fall. The passage closes with with the permanence of Babylon's fall. It is easy to see why the city had political influence over the entire planet, especially considering its economic power. Since it is called "Babylon," many believe it is necessary that this city be rebuilt in Iraq. However, some very respected commentators, such as John Walvoord, do not think the text demands this, since it is a "mystery," though he admits such a view may be a superior interpretation, especially when accounting for the Old Testament passages. Furthermore, it is not feasible for literal Babylon to be a coastal economic superpower, since the Babylon of Revelation 18 at least seems to be a major port city. Are there any cities like this today? Furthermore, is there any particular city that Solana and the EU hate, causing them to give up more sovereignty, especially in the area of defense? Ever since Donald Trump has been elected U.S. President, the Europeans and the EU have not hid their disdain for him. The usually diplomatically spoken Solana called him "despicable" and "not a decent man" (though it was in Spanish). Solana is constantly tweeting this or that article about how Trump is going to ruin everything. Furthermore, one of the biggest ever defense integration programs in the EU has been pushed through because of Trump's election. Nevertheless, in unusually candid fashion, Solana stated the proposals didn't go far enough. Ever since Trump called NATO "obsolete," the Europeans have been driven to seek to provide their own security among themselves. Furthermore, even yesterday the EU Council President named Trump as one of the EU's external threats, along with Russia and ISIS! The only city on earth (other than Iraq) that is called "Babylon" is on Long Island. The U.S. has militarily occupied historical Babylon (Iraq) sporadically for the last couple decades. 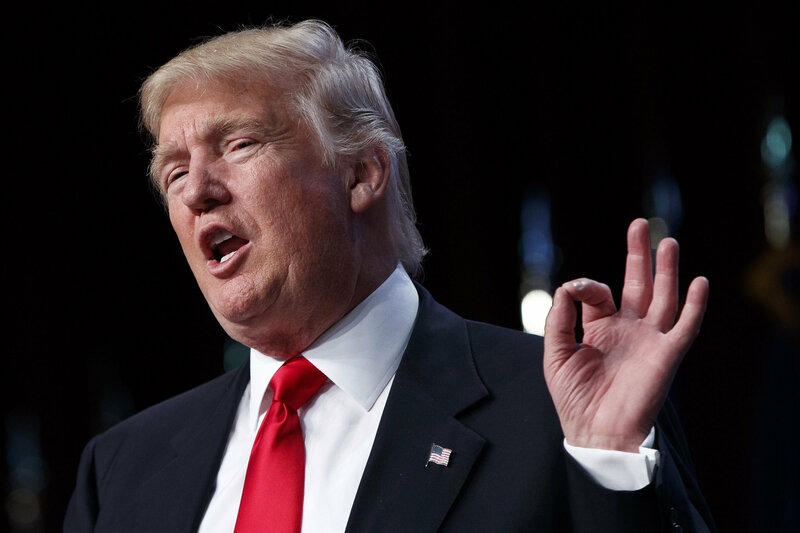 Donald Trump wants to run the U.S. part time from Trump Tower in New York City, instead of in the White House. If he follows through on his plan to defeat ISIS, it is possible he will occupy or at least partially control Iraq, from New York City. According to my late economics professor, New York City is the "financial center of the universe" with the second largest GDP of any city, closely behind Tokyo. New York City is a very major port city, with one of the largest natural harbors in the world. It is extremely ethnically diverse. Revelation says that the woman sits on many waters, which are "peoples and multitudes and nations and tongues." 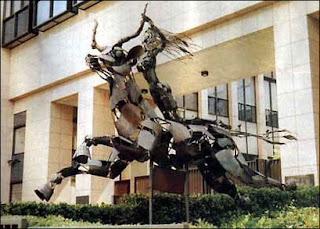 The woman rides the beast, but then is destroyed by it, suggesting they were formerly allies. This is very reminiscent of the EU - US relationship, especially as it has evolved under Trump. The United Nations resides in New York City, since the city "reigns over the kings of the earth." The United States contains some of the largest numbers of self-identified Christians in the whole world. Since a major apostasy event precedes Christ's return, it is safe to say that it will be most pronounced in a country (and large city!) that contains a very large number of nominal Christians. Note that I am not saying that "Trump" is mystery Babylon. However, NYC increasingly fits the bill, since he wants to run the country there part time, and the fact that the EU/US (NATO) relationship has soured with his accession to office. I am not at all the first to suggest the NYC idea (it's long been on the Internet), I do think that it is the case, especially within this particular EU paradigm. All this to say, that the prophecy story continues as we would expect. As always, I welcome any thoughts. Sorry I have been delayed in replying as of late, I will try to be more timely about my replies to your comments. Peace to you all. Come Lord Jesus. Please be patient, my dear brother in Christ. As you have continued to look at the pieces of the puzzle in this mystery - which End Time Prophecy very often is; keep focused on the FACTS. Keep your mind on "Everything" relating to all the Evidence that you have collected in your studies; not omitting anything, but please stay very focused on the FACTS. You are on to something that not very many are giving credence to. May God continue you bless you, your family and the Ministry He has given you to lead in order that His Body be edified. I do not favor Iraq. Rome remains my favorite and the EU my favorite for the Empire which may for a short time unite the world. The Islamic antichrist and a caliphate seem very weak proposals. I have always wondered if JS had some genetic middle eastern roots. His sympathies have never been Christian that is for sure. How long can Javier remain a viable candidate and to what age? Regardless his story is one of the unusual untold stories of a great man who because he never led an army does not get recognized. Is he crying because like Julius Caesar at age 39 he had not done what Alexander the Great had done. Is it possible that his sense of urgency relating to age and the long wait matches the understanding of a Satan cast to earth who knows he has but a short time. PS I studied the Women clothed with the sun asterism in good depth and it may have been a sign. I think if Trump does any thing he is the wrecking ball out of control leader who shakes things up and incidentally speeds things up. I find much what he is doing to be good but it may have unpredictable results.